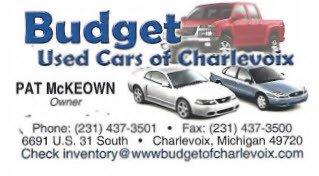 Budget Rent A Car of Charlevoix, offering rental service on the mainland, daily & weekly rates – with FREE DELIVERY & PICK UP to both air carriers locations, Island Air at the main airport, and Fresh Air at their office. 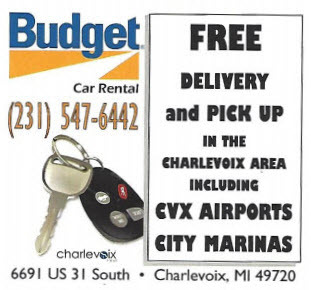 In addition we offer FREE DELIVER & PICK UP at the Beaver Island Boat Company office. Call (231) 547-6442 for rates and reservation information.